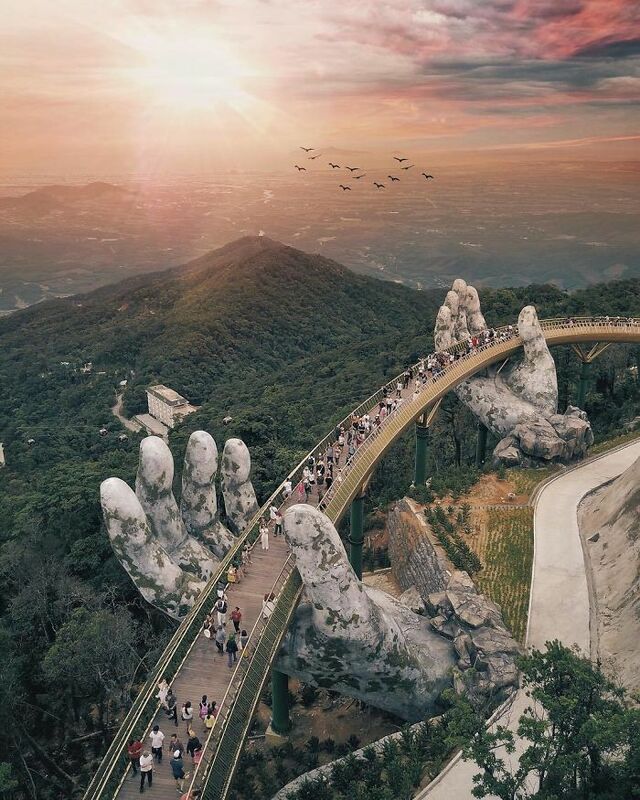 Golden bridge, located in the outskirts of the fourth largest city of Vietnam, Da Nang city amidst the forest. This bridge is the talk of the world now. 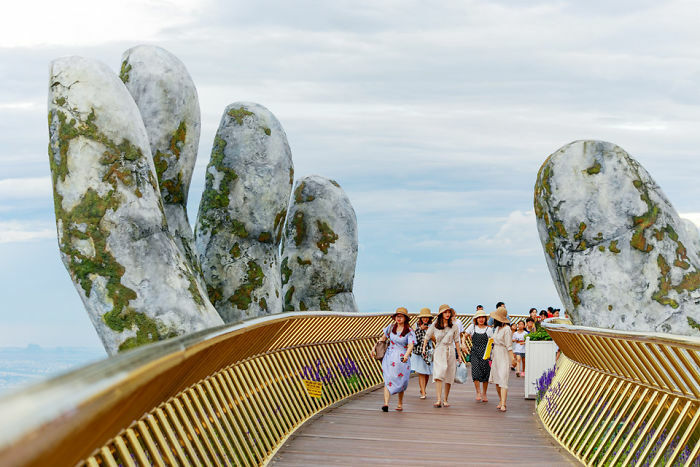 Opened to the public in June 2018, this pedestrian bridge is called Golden Bridge. It stands 1400m above sea level above the Ba Na Hills. 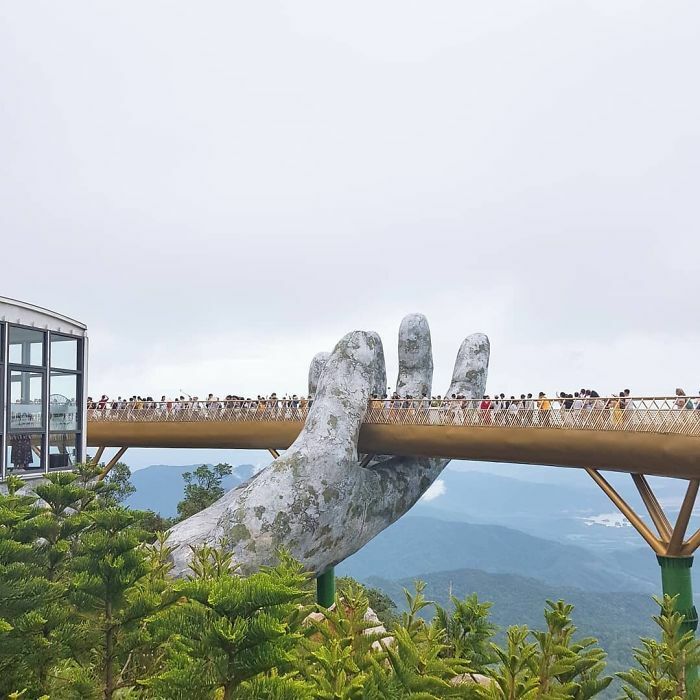 The golden bridge is being praised for its elegant design where the bridge is seemingly being held by two giant hands (in the hands of gods). 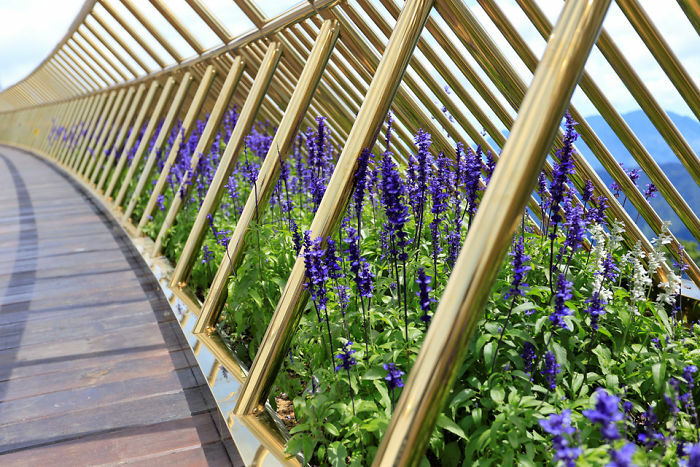 This curved bridge extends to 150 meters and the walkway is gold colored. Visitors will have beautiful views of the forest, the mountains, and the sky. 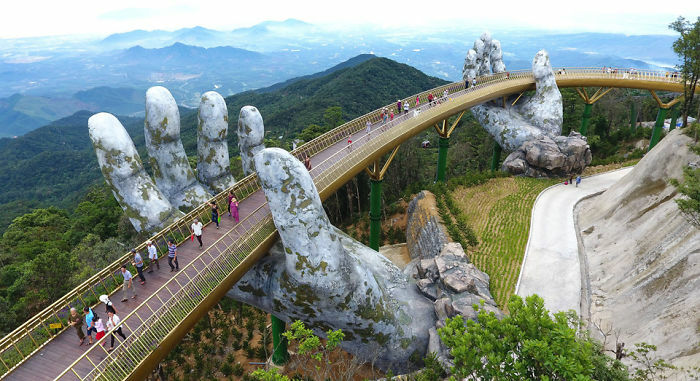 This bridge is designed to make visitors feel like they are walking on the bridge that is stretching across the hands of the gods. Lobelia Chrysanthemums is lined all along the pathway of the bridge and it adds beauty to the bridge. 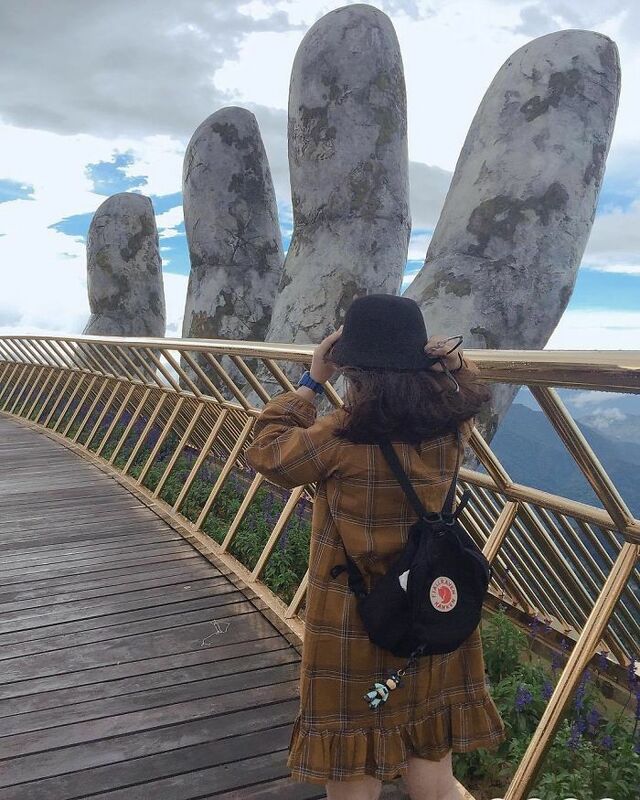 Though the hands look like they are carved from stone, actually they are not. They have covered the hand skeleton with steel meshes and finished with fiberglass and made some touch to feel it like a stone sculpture. 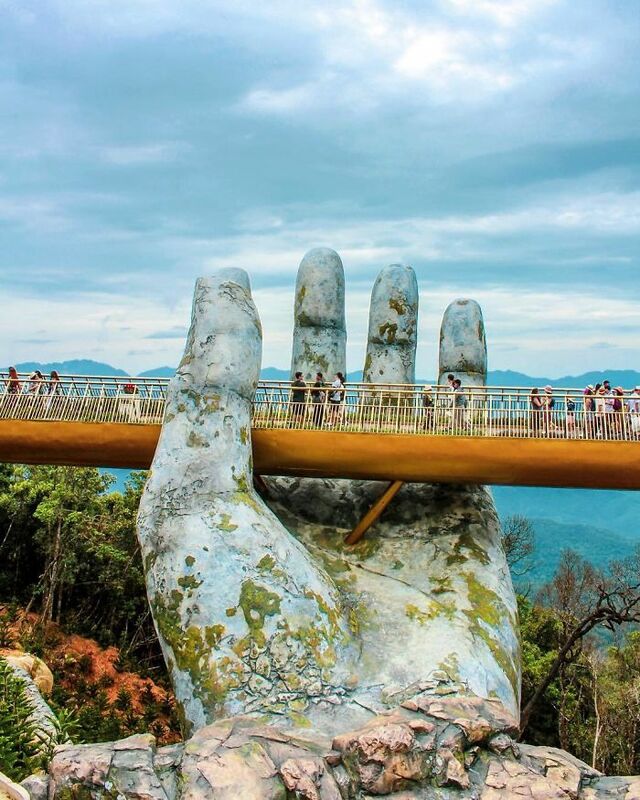 This hand bridge is the new addition to beautiful Vietnam with beaches and rice terraces. This golden bridge is a part of $2 billion investment. Vietnam is now a booming destination for foreign tourists. 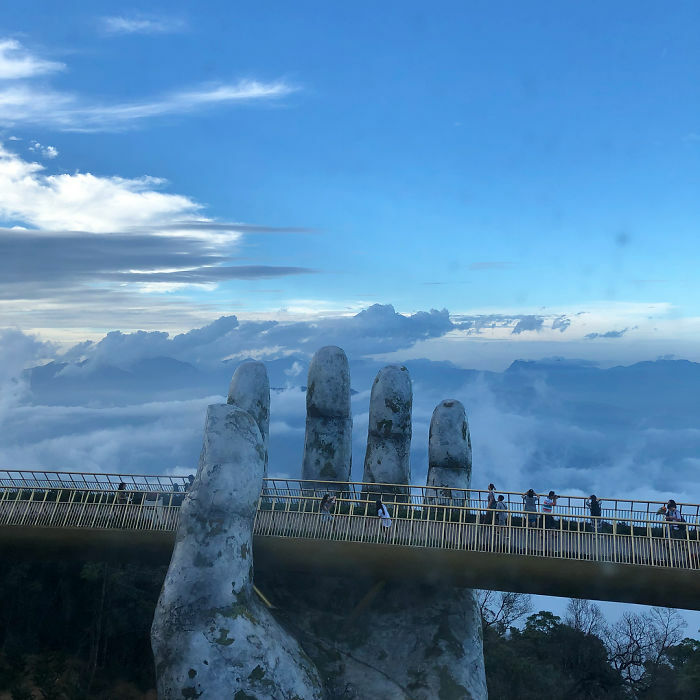 Vietnam tourism is doing whatever it can to attract more international tourists to visit their country. No wonder, people flock together to this beautiful country to explore the unexplored. You can visit Hoi An heritage town which is just 60 km away from the Golden bridge. 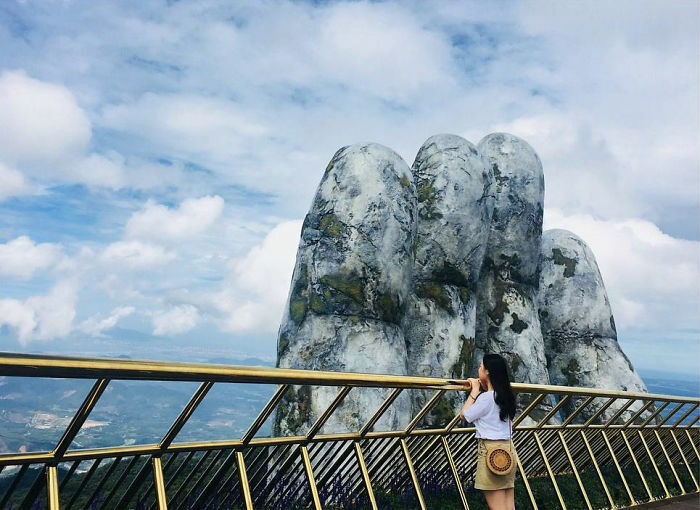 You can add Ha Long Bay cruise, Ninh Binh village and the Hanoi city in North Vietnam and Ho Chi Minh city in South Vietnam in your itinerary. What’s your favorite spot in Vietnam? Comment in the comment box.